Being little is all about discovering the world around you. 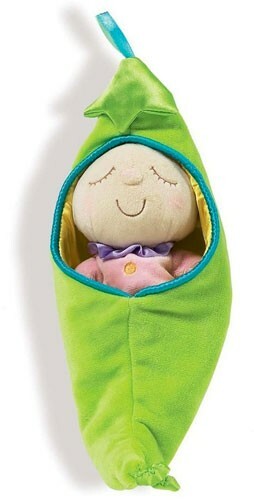 Manhattan Toy's Snuggle Pod doll is a super soft snuggle pal who comes in her own pod - your choice of a satin-lined pea pod, peanut, bunny costume, or bug costume. 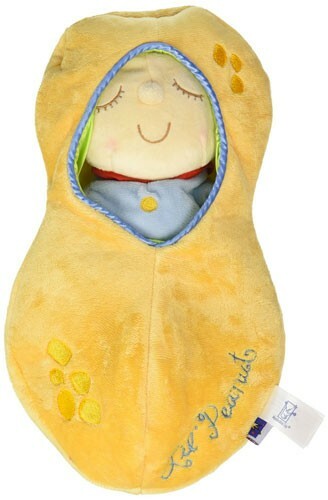 Babies will love toting and tucking in their own adorable first baby doll. This cute, cuddly dolls are suitable for very young toddlers, making them perfect as a first doll. The mix of soft, surface-washable fabrics is appealing to touch, and at 10" tall, it's just the right size to be easy for a little one to carry and tuck in.